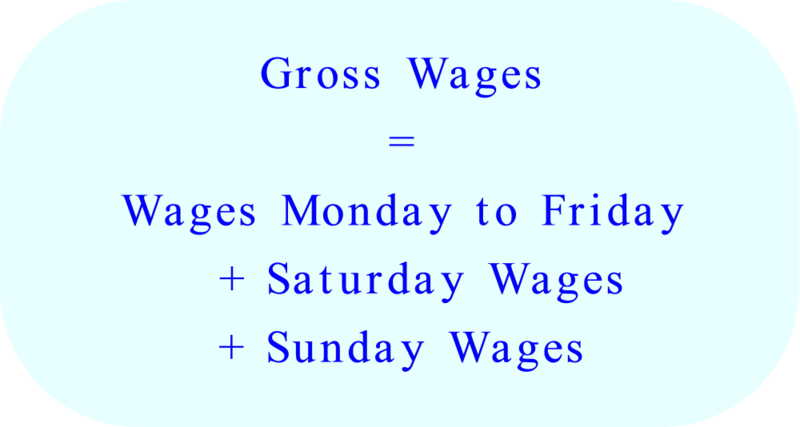 In an engineering firm all workers work a basic week of 40 hours. 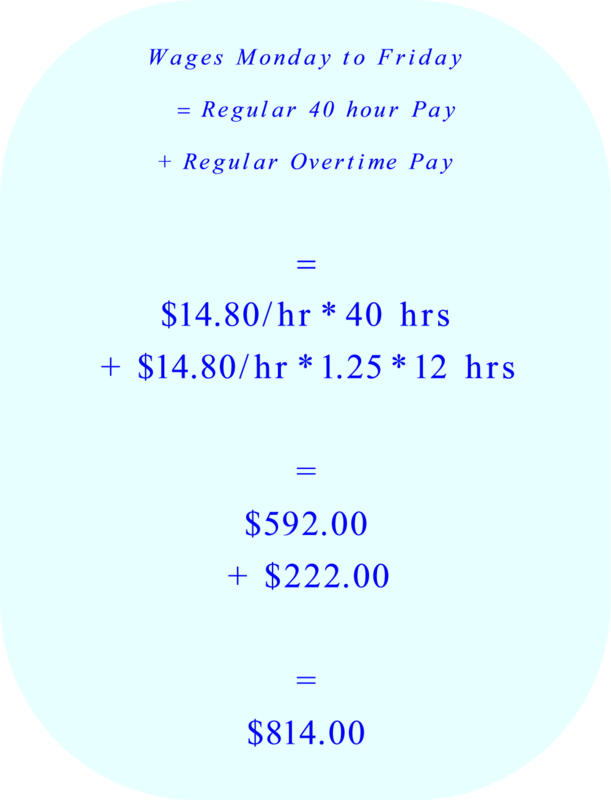 Any overtime work from Monday to Friday is paid for at time and a quarter. Overtime worked on Saturday is paid at time and a half while on Sunday is paid for at double time. 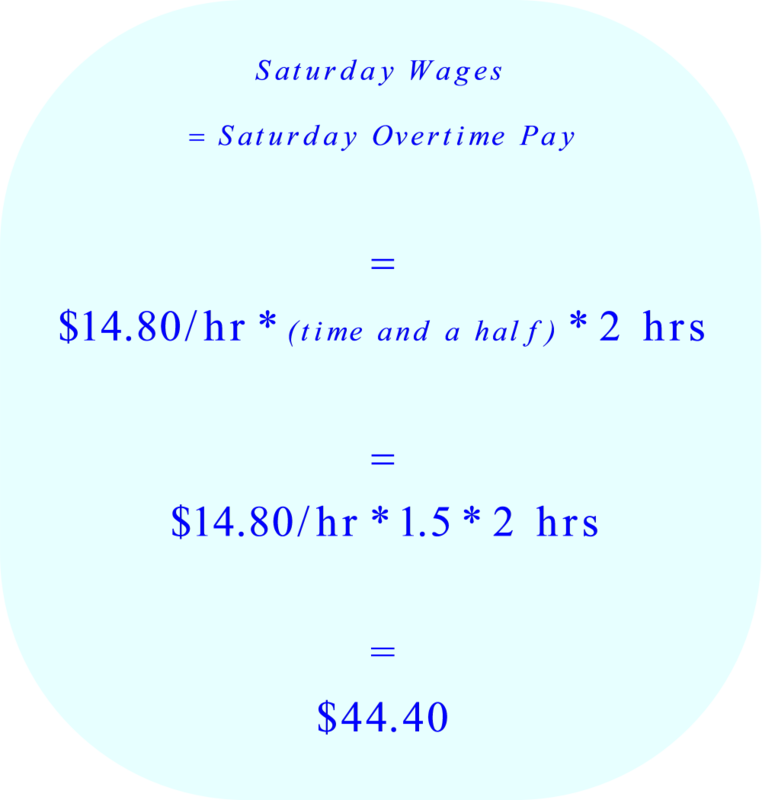 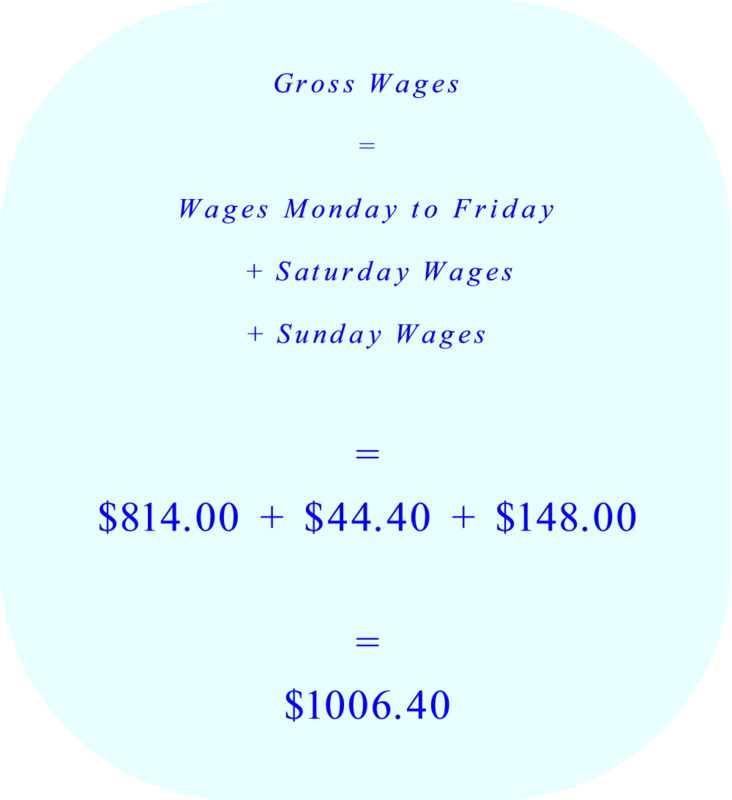 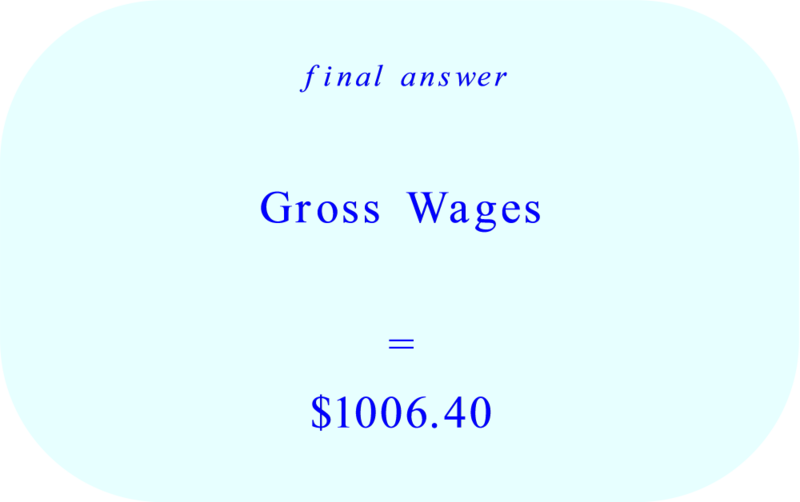 If the basic wage is $14.80 per hour, find the gross wage of a man who worked 12 hours overtime from Monday to Friday, 2 hours of overtime on Saturday and 5 hours of overtime on Sunday.